Surprise! 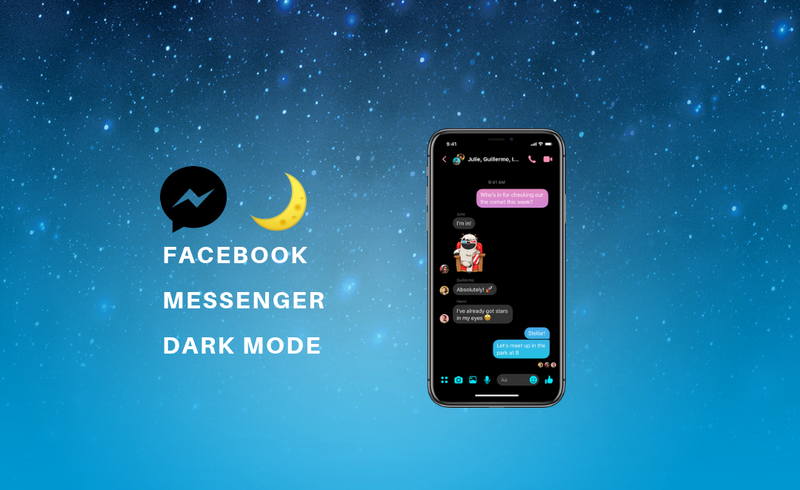 You can now activate the Dark Mode of Facebook Messenger. We will explain everything to you. If the dark mode of Facebook Messenger is officially still in development, there is still a trick to benefit from a preview of the interface. In a messenger chat window, go to the conversation settings (symbolized by an “i” at the top right on Android, or by clicking on the name of your contact at the top of the screen on iOS). Tap the Emojis menu to change the default emoji for the conversation, and choose the crescent moon 🌙. Then send the emoji to your contact, you will see an animation with several crescents, then a new window showing you have unlocked the dark mode. You can then enable or disable the dark mode in your settings. Keep in mind that if this method does NOT work, Facebook may have not rolled out the feature to your account yet. If it did work, ,CONGRATS ! We hope you enjoy your new Dark mode!